Preheat oven to 300 degrees. 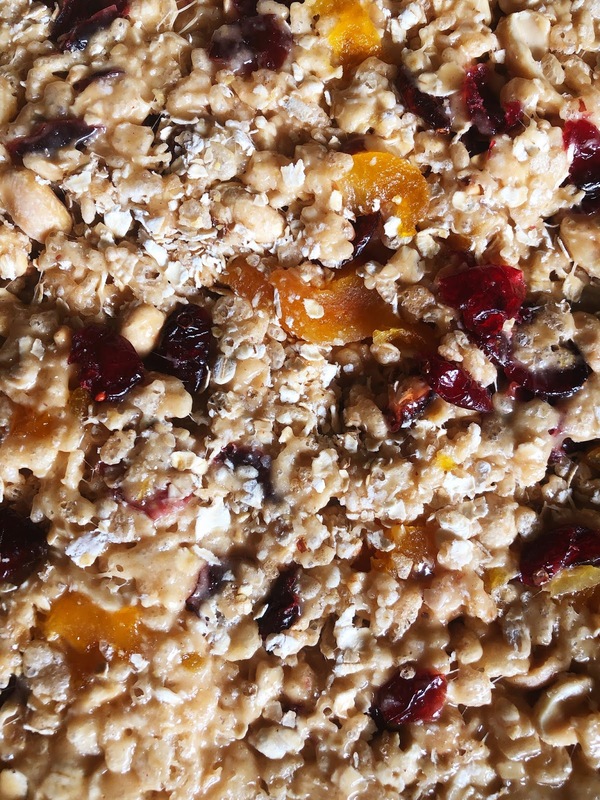 Coat a large roasting pan with oil spray, and add the Rice Krispies, Quaker oats, apricots, cranberries, and peanuts. Toast in the oven for 3-5 minutes at 300 degrees. 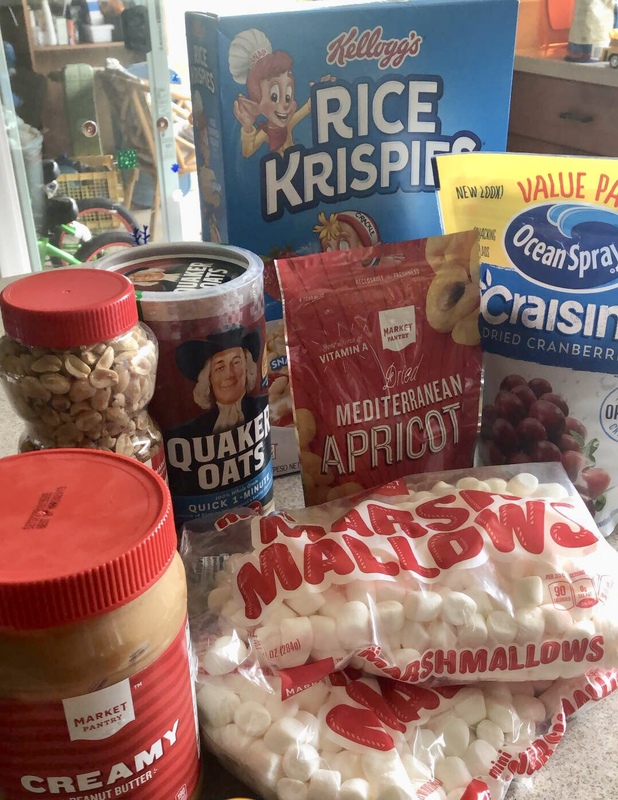 While the cereal mixture is toasting, slowly melt the butter in a large sauce pan, then add the marshmallows and peanut butter and mix over low heat until smooth. Remove the mixture from the oven, and then pour the butter/PB/marshmallow mixture over the cereal mixture and mix thoroughly. 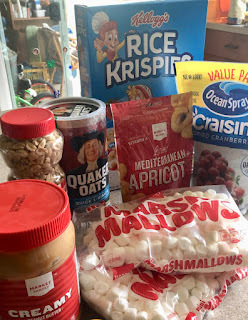 The marshmallow mixture gets thick and sticky very quickly, so you'll need to mix quickly and use a lot of elbow grease so that the cereal mixture is evenly coated. Transfer everything to another large prepared roasting pan (that has been sprayed with cooking spray) and press firmly using a prepared wooden spatula or wax paper. Allow to cool, then cut into rectangles or squares with a greased knife. You can tweak the recipe to your liking, such as adding raisins, sunflower seeds, or other types of dried fruit.